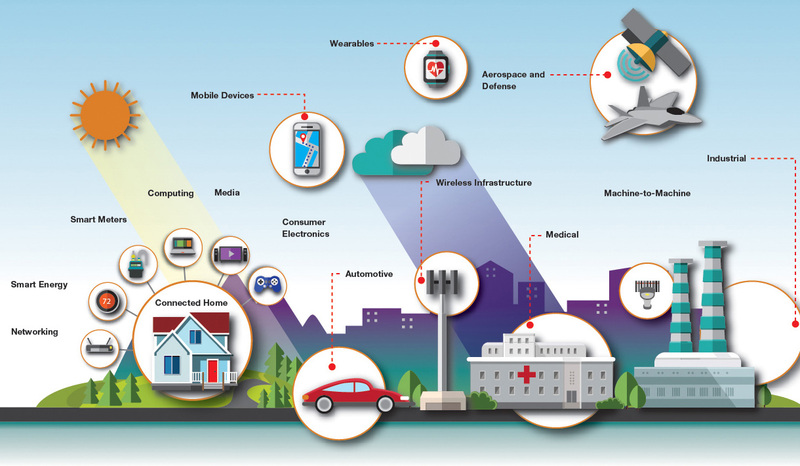 The IoT enables a vast array of sensing and data gathering devices to be installed, connected and set up at low cost by non-specialist staff with a standardised communication network and data analysis tools. Mario Kuisis of Martec talks about the implications of the Internet of Things (IoT) and Industry 4.0 and why maintenance professionals need to sit up and take notice. IoT and Industry 4.0 are creating a stir, in fact, quite a stir. You might be asking, what’s all the fuss and hype about? Is it another one of those passing fads? Maybe just sales jargon? Another name for something we are already doing? More importantly, should you be taking it seriously in the real world of maintaining industrial plants and equipment? Especially in an increasingly competitive environment where every cent counts and there is stiff competition for every item in the capex budget. These are questions I would suggest we should all be asking. I will attempt to put some thoughts on the table for you to consider in your particular situation. I have intentionally chosen to use the word ‘you’, as I would suggest these questions are just as important for yourself as for the enterprise you work for. To put it succinctly, I believe we are now living in the last times before IoT and Industry 4.0. In a short time, life for almost all of us in the developed world will never be the same again. Whether it will be good or bad will depend entirely on your outlook. If you believe that things like mechanisation, cars, air travel, computers and mobile phones were a step forward, then you will happily embrace IoT and Industry 4.0. They are set to change and irreversibly impact the way we live and work to a similar extent as these earlier advances in technology. It is recognised that there will also be significant societal ramifications, but the potential interactions are too complex and the pace of change too fast to permit clear predictions here. I do not, however, want to dwell on those unknowns. Rather, I would like to explain why I am of the view that IoT is vitally important and therefore engender interest for you to consider how you could learn more and use these upcoming changes to your advantage. To use an old analogy, going with the tide is easy, whereas you are guaranteed to lose if you choose to fight it. The worst position to be in is not knowing the tide is coming in at all. For a start, let’s get onto the same page with definitions. There are numerous organisations and industries working toward standardisation of the Internet of Things, but the ITU (International Telecommunications Union) Telecommunication Standardisation Sector (ITU-T) Study Group 20 is at the centre of these and describes IoT as: ‘A global infrastructure for the information society, enabling advanced services by interconnecting (physical and virtual) things based on existing and evolving interoperable information and communication technologies’. The IIoT (Industrial Internet of Things) is a subset of IoT. In essence, sensors, devices, digital techniques and communications are being combined with data processing in a standardised way that will permit very wide-scale deployment in almost any environment at low cost without the need for specialist skills. IoT as envisioned will permit economical communication at any time, at any place and with anything, whilst taking care of security and privacy in a greatly enhanced next generation global wireless data network. On the other hand, Industry 4.0 is more conceptual and refers to the 4th industrial revolution, which is going on today. It stems from an industrial trend originating in Germany, bringing a significant technological change in manufacturing. This change includes, for example, the adoption of cyber physical systems, AI, IoT, Big Data, Cloud Computing and M2M communication. Talk about IoT has been going on for more than 10 years now. So what’s new? The difference is that there is good progress toward standardisation, which can be expected to be finalised in the near future, if recent ITU experience is anything to go by. One of the main aims of standardisation is to ensure interoperability. IoT will become as universal and as simple to utilise as smart phones, which have been through the same ITU process. A good way to grasp the potential is to think of the difference between fixed landlines of old and smart phones of today. Once GSM capability was combined with a standard mobile phone platform and wireless network, a plethora of manufacturers stepped in with greatly extended features and functions at affordable prices. Phone applications took off like a skyrocket as developers all around the world could participate. Think of the capabilities of your smart phone, the price you paid and how it has changed your home and work life. Could you go back? The same will happen with IoT. Probably more, much more. The biggest impact that can be envisioned presently is the elimination of a great many manual processes that can be fully automated, removing the need for human intervention. A simple example is the cars we drive. Monitoring systems in the car can alert the manufacturer of either the need for a routine service or an intervention based on predictive techniques. This can result in a message on our phones requesting a service appointment and recommended time frame without any person being involved. A selection of presented service centres in the general location of the car and optional dates will result in the correct spares being dispatched to the service centre just in time. The car may be provisioned for self-communication, or our phones could be configured to serve as the means for providing the communication between the car and the manufacturer, as well as between the manufacturer or service centre and us. Now if this concept is taken into a typical industrial environment where a vast array of sensing and data gathering devices can be installed, connected and set up at low cost by non-specialist staff with a standardised communication network and data analysis tools, the possibilities become almost endless. This is a reliability engineer’s dream come true. Not only does all the relevant information come direct to the desktop without the need to go onto site and collect data, but there is 24/7 monitoring and abnormal conditions automatically trigger work orders according to predetermined algorithms where maintenance intervention is required, with messages sent to relevant personnel either for action or information. Proactive maintenance will be taken to new levels that could not even be conceived of just a few years ago. This is not to say that everything can be done in this way, but with an expected 50 billion devices by 2020, the anticipated drop in costs means that it will become economical for a very large percentage of what is presently manual work. There will be a similar impact on production process monitoring and control, raw material procurement and management, asset management, human resource management, health, safety and security, etc. In effect, almost every facet of a business is likely to be affected in one way or another. The benefits represent the rising sea levels that will make the incoming tide unstoppable. Do you need to sit up and take notice? Perhaps the best way to answer that question is look around you and see what is happening in the world of IoT as it relates to your present area of responsibility, then consider how you could use that knowledge to your advantage. What better place to start than the newsletter you are reading? First published in November 2017 edition of MechChem Africa. ISO Cat 1 Ultrasound Certification Training Martec, a Pragma company, is introducing the ISO Cat 1 Certification Training course, which will be delivered at the Pragma Building in Midrand during the first quarter of 2018. This four-day course will be presented by Tom Murphy from SDT International, a world leader in managed ultrasound. The course is conducted in accordance with ISO 18436-8 for Ultrasound. This is the pinnacle of ultrasound training and as such participants should be ready for a closed book exam.